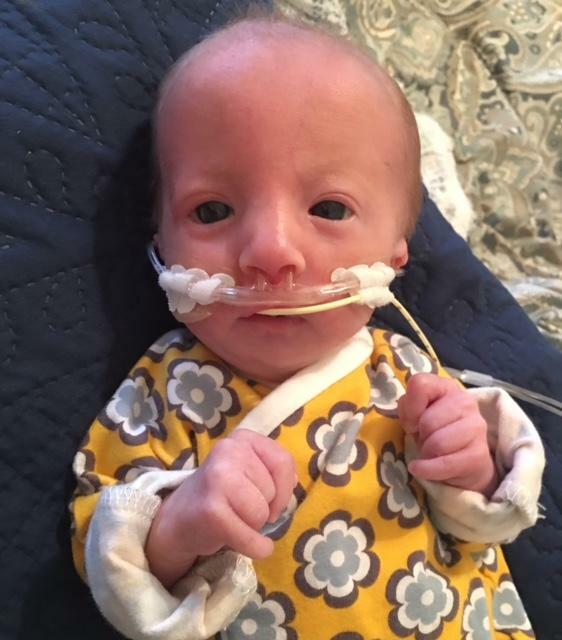 Karis Belle Purcell, daughter of Thad and Misty Purcell, died in her mother's arms and went to be with the Lord Jesus Christ on August 16, 2018. Memorial funeral services will be held at 10 A.M., Saturday, August 18, 2018 at Lawson Funeral Home in Meridian. Pastor Ed Dittfurth will conduct the service. Karis knew nothing but love. She was snuggled tight, kissed sweetly, and cared for intently by those who loved her most. This little one has blessed her family beyond measure and will be a blessing to other families in the future. Karis Belle, you may have been tiny but you will move mountains! Karis is survived by her mom and dad, Thad and Misty Purcell of Bluff Dale; siblings, Kyler, Kelan, Kloe, Karsten, Korah, Kaleb, Kenna, and a huge family of grandparents, aunts, uncles and cousins who love her very much. In lieu of flowers the family requests that memorial donations be sent in care of Lawson Funeral Home, P.O. Box 616, Meridian, Texas, 76665. The funds will be used to bless families of terminally ill children in the NICU at Harris Methodist Hospital in Ft. Worth, Texas. Checks need to be made out to: Texas Health Resources Foundation. In the memo put Fund1RN1-Karis Purcell/Memorial Gift.